There is no update yet, just praying daily…..The woman, who I truly love, comes home in 8 more days. The days feel longer and my heart feels worse than it did in the beginning, but I am not giving up because all the signs have been to wait and love her unconditionally and forgive her for her intentions aren’t meant to hurt. She cried yesterday because I remembered her birthday and wished her a happy birthday when it was 12 her time in France. I miss her every second of the day and just wish she was here. She keeps saying she doesn’t deserve the love I’m giving and said yesterday she doesn’t deserve a good birthday. It hurts me to hear her think this way, she is the most amazing woman I’ve ever met and her smile lights the world. I ask for prayers that God continues to break open her heart and pours in my love and truly shows her how much she means to me and I mean to her. Ask for prayers that God shows her how beautiful she is and shows her the answers she seeks. Ask for prayers that he brings her home to me so we can start of the life and family we have talked about. And please ask for prayers that the Lord removes all bad influences from her life that have hurt her, said they loved her but didn’t show her true unconditional love and to rid those who don’t make her an amazing and strive to be a better person daily. 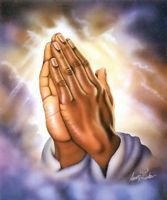 Thank you for the Prayers and I pray and ask that God answers your prayers too!